When are glittery clothes appropriate? …Always! Once upon a time, my dear friend Roshan Roghani told me her fashion philosophy: “I only buy things that make me happy.” She went on to explain that if something in her closet didn’t bring her joy when she looked at it, she would pass it on to someone else who might like it better! It was her way of decluttering her life and her wardrobe, while also sharing happiness with the world around her. How cool is that? We all know that things don’t make you happy. But having things in your wardrobe or house that remind you of sadness or bring up bad memories can definitely affect you. I’ve adopted Roshan’s philosophy, choosing to build a wardrobe that may not always be on-trend, but will consistently represent my heart, my style, and the happiness I want to share with the world. I have always gravitated towards sparkly clothes, jewelry, and even shoes that reflect light and color, and I have memories of my father teasing me, “Will you ever have enough glitter?” Apparently, the answer to that is NO, because when I spotted these amazing trousers on sale at Zara.com, I couldn’t pass them up! I also couldn’t wait for an “appropriate occasion” to wear them, because why should we limit sequins & sparkle to holidays and special events? 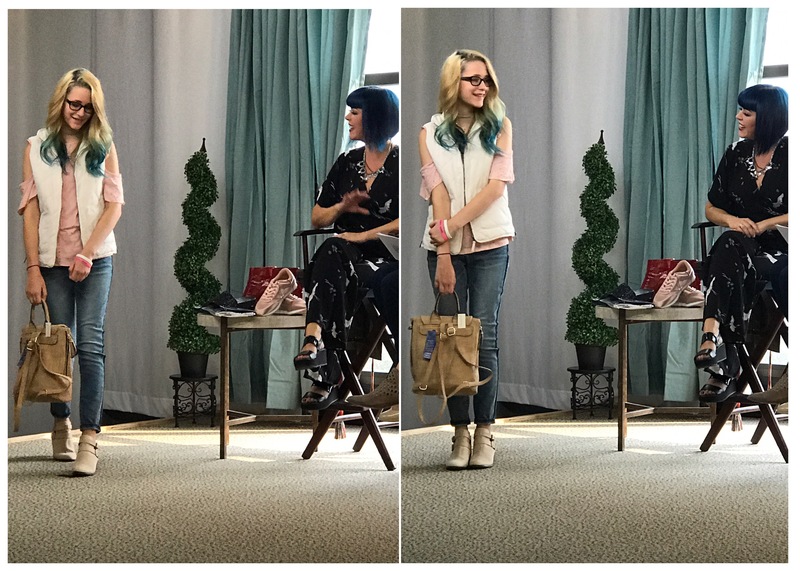 Fortunately for my fragile patience, the gorgeous Chateau des Fleurs was throwing a special Bloggers & Influencers event last weekend, so I threw two outfits together – one casual/comfort, and the other drama/dressy – and headed over. Huge, adoring, grateful thanks to my amazing photographer @ammophotog for all these fabulous pics, and to the generous Chateau des Fleurs team for letting us play in your beautiful paradise! I like to balance drama pieces with sedate classics. I dressed down this look with always-in-fashion Adidas, and a very cozy brushed cotton top I found at a local boutique. The result felt cool, casual, and comfortable! I could wear this almost anywhere. Use special discount code GIFT134 at Roma Designer Jewelry to get 20% off any purchase!!! For this look, I matched drama to drama with a rock & roll top and fluffy faux fur jacket. It felt purrrrrfectly fun and full of attitude! I didn’t have time on this day to change my shoes, but next time I wear this look it will be with my favorite red boots! Which look do you like best? Would you wear sparkle pants for daytime? And what fashion items in your closet make you the happiest?? Texture, favorite color, shine, functionality… I would LOVE to hear about the things that inspire joy when you shop! Or, are there things in your closet that make you sad or depressed, but you’re not sure how to let go of them? Chat with me below, I’d love to help! 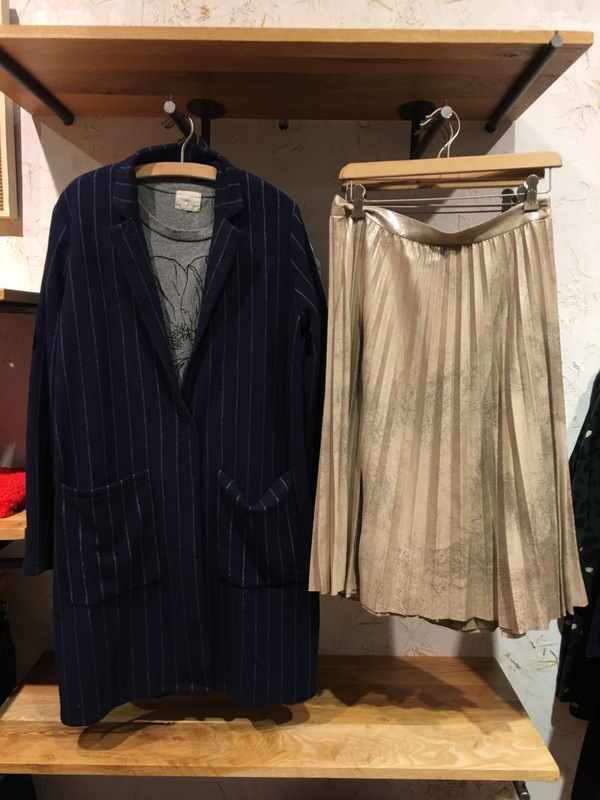 Fall Fashion 2018 Trend Report with Boise Lifestyle! Hello, loves! Did everyone have a gorgeous & eventful summer? Mine flew by, and I can’t believe it’s almost Autumn!!! Well, get ready, because this month I had the special honor of doing a Fall Fashion report for our dear local Boise Lifestyle Magazine. I’m reprinting that feature here, just for you, with a little extra dose of love: links and info for where to purchase these darling outfits & accessories!!! Whether it’s a bold red lip, flash of accent green on a handbag, or stripes of yellow and purple across a shoe, this season’s trends showcase every color of the rainbow. As the soft pastels of previous seasons fade with the summer sun, expect Fall to come in strong with a dazzling array of gemstone colors, vivid stripes, and a plethora of edgy prints from around the world. The 90’s are back, too, with chunky footwear, colorful overalls, whimsical sunglasses, and a wide variety of denim styles. From ruby red to sapphire blue, choose your favorite haute hues and embrace the crisp coolness of autumn. Fall fashion’s overall message for 2018 is: Be bold!!! I had a blast shopping for the hottest trends at three wonderful boutiques in Boise: Ibeni, Shift, and Swank! Check out my fashion inspiration looks below, and tell me in the comments: Which ones are your faves? with soul gets glam for 2017! In the last few years, there’s been a major shift in the fashion industry towards a more ethical design, manufacturing, and shopping experience. From employment practices abroad, to real financial impact closer to home, it’s encouraging to watch this movement grow and blossom into something truly impactful… And truly beautiful!!! Christmas is near, but if you still have shopping left to do, check out some of my personal favorite companies below for inspiration! Some items are available locally, and most are also online. I’ve chosen these products and companies because I have either connected directly with the fine people selling them, or have a deep personal passion for the mission behind their products. But think of this list as just a beginning! Please (pretty please with sugarplums on top!) tell me YOUR favorite give-back-biz in the comments below. Post links, pics, anything you love; share your faves, so we can spread the joy, together!!! Bought Beautifully is a lovely online shop founded by Colin & Emily Betzler, two-huge-hearted entrepreneurs from Wyoming. The Betzlers believe in changing the world by living generously, and to that end, have built “a marketplace that empowers you to create dignified opportunities for people around the globe, one purchase at a time.” Every item in their shop, from jewelry to Christmas ornaments, is both beautiful and fashion-forward. I fell in love with Bought Beautifully’s Brass Stud earrings from Sasa (pictured above, lower right), a brand that empowers and supports deaf men and women in Nairobi, Kenya, and on the Island of La Gonave, Haiti. Bought Beautifully sells handcrafted items from 36 partners in over 16 nations across the globe, and you can search by category, or by the cause that is close to your heart! Bracelet by Badala; proceeds fight human trafficking and empower women to rise out of poverty in East Africa, Central America, and the USA. My friend Matt Pipkin founded Speak Your Silence in 2012 as a place of healing, recovery, and empowerment for men and women around the world who are victims of sexual assault. Speak Your Silence’s unique zigzag pattern can be added onto any piece of apparel or accessory, as an unspoken sign of solidarity and support among those who have suffered. Whether you have personally experienced sexual violence or not, wearing the zigzag pattern shows you care, and want to inspire others to prevent sexual assault and share your voice for those affected. Speak Your Silence has partnered with Boutonné, a San Diego-based brand that produces leather goods, to create a special Swivel Clip, Envelope Laptop Case, and the Mills Tote I am wearing in the photos above. Click here to purchase the tote ($190), and find out more about Boise-based Speak Your Silence! T-shirts, decal kits, and other products are also available for purchase. No child should have to go an entire school day without lunch. That’s the basic, and passionate anthem behind Corbin’s Legacy bracelets. Founded in honor of Corbin Leafman, a beloved and compassionate kindergarten teacher who passed away at 31 years old from cancer, Corbin’s Legacy bangles give back 100% of their proceeds to food & medical care for disadvantaged elementary school children. Corbin was known for “always walking through the lunch line holding up a $20.00 bill to make sure that the cafeteria lady knew that none of her students were to go without a hot meal.” She bought backpacks, school supplies, and gifts for children in need, and her giving heart lives on in those who knew and loved her! Bracelets are $30 in downtown Boise, at Swank Boutique. Did you know our local Buckle store is a major force for good in the community? 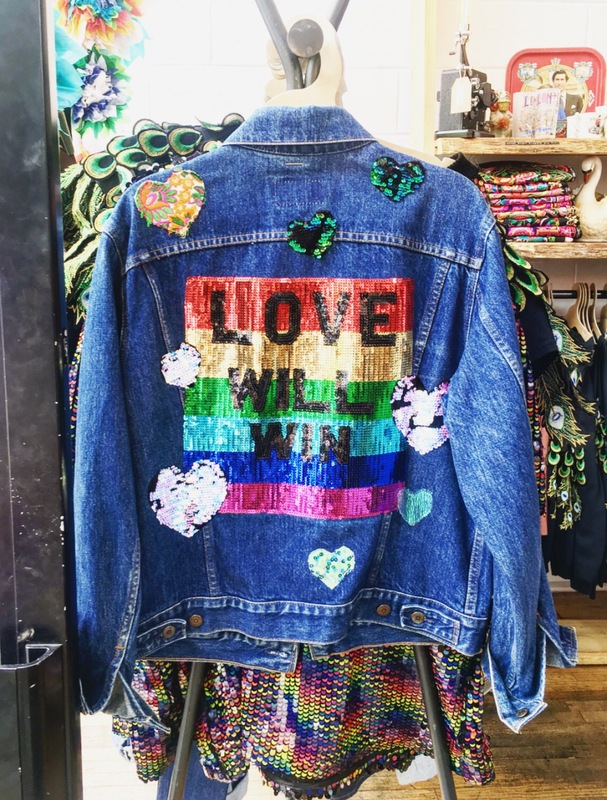 Through their Buckle Believes program, they offer multiple give-back lines of clothing and accessories, all with great style and affordable prices! I loved these soft, cozy sweatshirts by tentree, available in multiple colors, and all fleece-lined. Ten trees are planted for every item you purchase, and the tag comes with an extra seed for you to plant! These tops are great for stocking stuffers, and cold winter nights. Shop the entire collection here, and at your local Buckle store, $35-76. All right, I get to toot my own horn on this rad project! But don’t worry; no money goes in my own pocket. 😉 It’s all for giving back! I teamed up with brilliant Boise designers Fourthwave Apparel for a special collaborative design, Nobody Puts Girl Power in a Corner. For every shirt sold, 40% of the profits go directly to Leap Charity, a local non-profit org that helps house and support refugee families arriving in our community. You can read more about our story here, or jump straight to Fourthwave to buy one. $22 adult, $14.50 kids. If you live anywhere in the Treasure Valley, you know about Proof Eyewear! We all love this local company that’s made it big in the fashion industry, but did you also what big HEARTS they have as well?? Through Proof’s Do Good program, thousands of dollars have gone back into health and vision projects around the world. From micro-loans for entrepreneurs to building orphanages, Proof ‘s commitment to socially-conscious programs across the globe is unmatched. Click here to read more about Proof’s Give Back program, and all the amazing projects they support, or visit their new downtown flagship store at 314 S. 9th Street, Boise, for last-minute gifts! Those who know me well, know that I am passionate when it comes to fighting bullying. My son went through some horrific experiences at a very young age, because of his Asperger’s. Please read more about his story here; Ethan is an incredible kid, and I will fight tooth & nail for the life he deserves to live. When I stopped by Buckle to look for give-back brands, these Buckle Believes t-shirts made my eyes leak a little. The Be Buddies, Not Bullies top was my fave, and I’m proud to wear it to help raise awareness for my son, and all kids everywhere!!! Proceeds from all three of the tops pictured above go to The American Cancer Society, and Pacer’s National Bullying Prevention Center. These designs (and more!) are available for $28.95 online at Buckle.com, or available at your local Buckle store. Don’t forget to add your voice to the conversation! Please comment below with your favorite give-back gifts and companies. Merry Christmas, Happy Holidays, and may all your days be merry & bright! in, what’s out, and how can you pull it all together for Fall? Read on for my quick & easy cheat sheet of everything you need to know to be in style this season! On the show, and here on my blog, we’re talking about some of the hot things I’ve seen start trending over the summer, and continue into our fall fashion season. Below is my full list of Fall Fashion Trends, with pictures & examples, that YOU can take to the mall or your favorite local boutique for shopping reference. 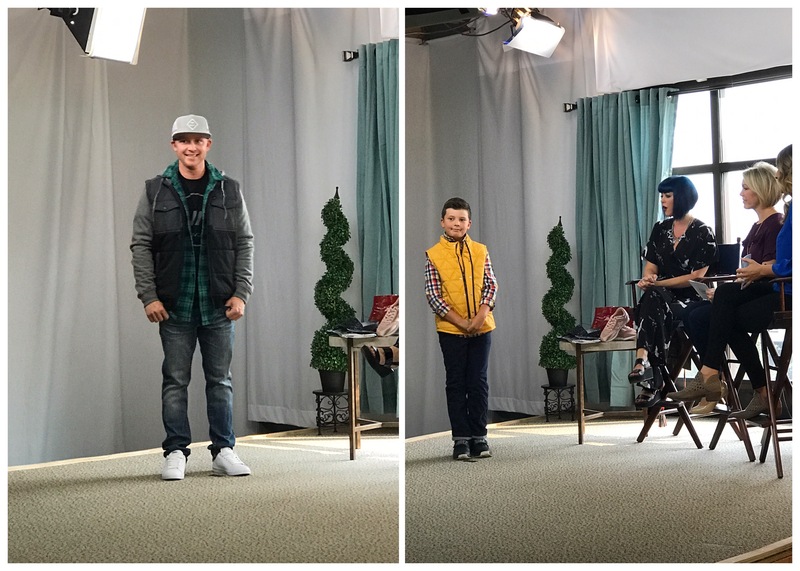 And be sure to watch the full episode right HERE to see how we styled each trend on our fabulous local models! ENJOY!!! MAD FOR PLAID Plaid is always classic! From jackets to shoes, all types of plaid are in style this season. Find your fave & rock it! On the show, we talked about how shoulders are the big trend thing right now. Off-shoulder, one-shoulder, cut-outs, and cold-shoulder. Anything goes! For my daughter, her school dress code requires a three-finger width on her shoulders, so this cut-out top from Francesca’s was perfect for her! I spotted the sneakers above in Amsterdam, where E V E R Y O N E wears tennis shoes, flats & boots. Get wild, get creative, and have fun with your sneaks this season! Also hot: ankle boots, motorcycle boots, high-top sneakers, white shoes for men & women, metallic and velvet footwear of any kind. From sleeves to pants & skirts, get comfortable with comfort! Culottes, wide-leg trousers, accordion skirts, and mega-sleeves are all the rage. Like this picture above from Who, What, Wear shows us, this is the season to wear your attitude on your sleeves! The bigger the better, but ruffles, laces, and more demure takes on this trend are fine as well. Whatever works for YOU! It’s red, red, red everywhere right now! But also pink, lol. Seriously, all sweetheart shades from traffic-stop ruby red to Millennial pink (like the Coach bag below!) are totally acceptable. Velvet and patent leathers are back, along with metallics, holograms, glitter, and shine! Skinny, cropped, long, patched, bedazzled, wide-legged, black, floral, or whatever! All denim is in. Enjoy! Thank you Idaho Living for the fun opportunity to share my love of fashion with your audience! Special THANKS to all the awesome models who helped out with this segment – Tyson, Lauren, Ellia, Will, and Blake! Boise Event Spotlight: Dillard’s Designer Pop-up Shop! Woohoo, handbag-loving babes, it’s baaaaack!!! Last year, I partnered with Dillard’s to invite you to a new shopping concept that literally popped-up in their stores across the country: the What Goes Around, Comes Around Vintage Handbag Event. This year, it’s back, bigger and better than ever! Remember this rad shopping party from last year? More pics & the recap of that event here. This year’s first-come, first-served shopping opportunity is part of Dillard’s collaboration with What Goes Around Comes Around, the leading global purveyor of authentic luxury vintage accessories and apparel. Since 1993, WGACA’s New York City Soho flagship has remained an industry staple, frequented by celebrities and tastemakers from around the world! WGACA’s expert buyers travel the globe to find the rarest and most desirable pieces in exceptional condition, and bring them to YOU for the chance to fill your closet & rock your ensembles with unique and covetable fashion treasures. Oversized totes are having a major moment in the fashion world right now! Guess which one I love? Last year’s shopping party focused on Louis Vuitton bags, exclusively. But this year’s Vintage Handbag Event features pieces from Prada, Fendi, Gucci, and also Louis Vuitton, including everything from wallets to fanny packs to luggage! 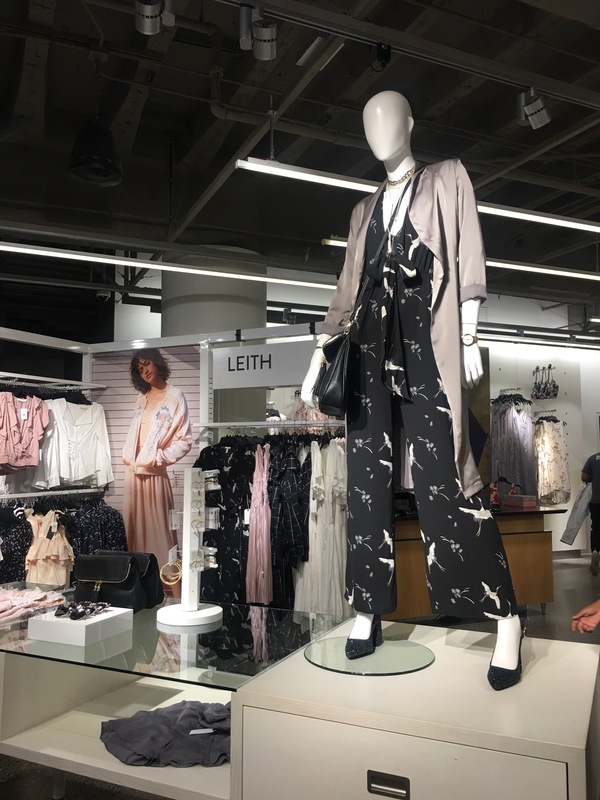 And now instead of a group party, you get to make a personal private appointment directly with Dillard’s, for your chance to shop these beautiful fashion treasures. Remember, vintage and collector pieces are limited in quantity, and when they’re gone, they’re gone! Obsessing over the pretty little things! Make an appointment with Dillard’s for your personal, private shopping moment by calling (208) 321-4646! Or, go into the store in person to book your spot. (You can also email Tami at store934@dillards.com to inquire about specific bags shown here.) In-person shopping appointments start July 20th and go through the 29th. Hurry, before they’re gone! Authentication cards & guarantees – all are real designer bags, some still with their original packaging & tags! Happy Shopping, my fabulous friends!!!! Style Report: Pink Gets Edgy for Spring! There’s something so magical about Spring emerging, isn’t there? 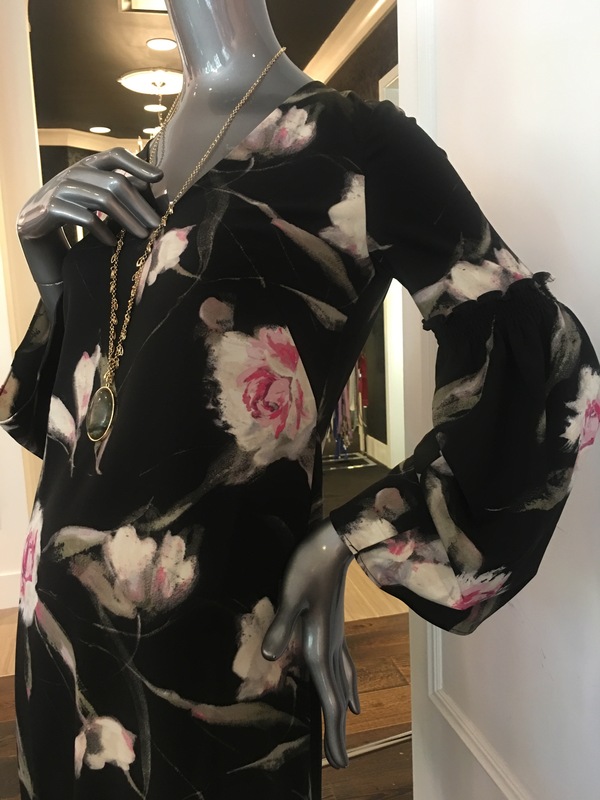 Winter winds settle down into warmer breezes, Nature begins unfolding her first blush of flowers and baby tree buds… And of course, America’s clothing boutiques fling open their doors & illuminate their shelves with giddy prints and brighter colors. It’s SPRING FASHION, baby! But this ain’t your mama’s Barbie pink or posh pastel, ladies. Nope; this pink is PUNK! From handbags to jackets, to tattoo-style roses on jeans, pink these days feels less girly, and more of a dare. And that’s what makes it a fashion statement! When I spotted this pink Page Crossbody bag in COACH, I died. It’s the perfect sherbet color, which tends a little toward the sweet side, but the metal studs and precious rocks infuse it with a mega-dose of sassy! Need more convincing that Pink is the New Black? Scroll down for more fashion inspiration below. And tell me in the comments if YOU’re going punk with pink this season! 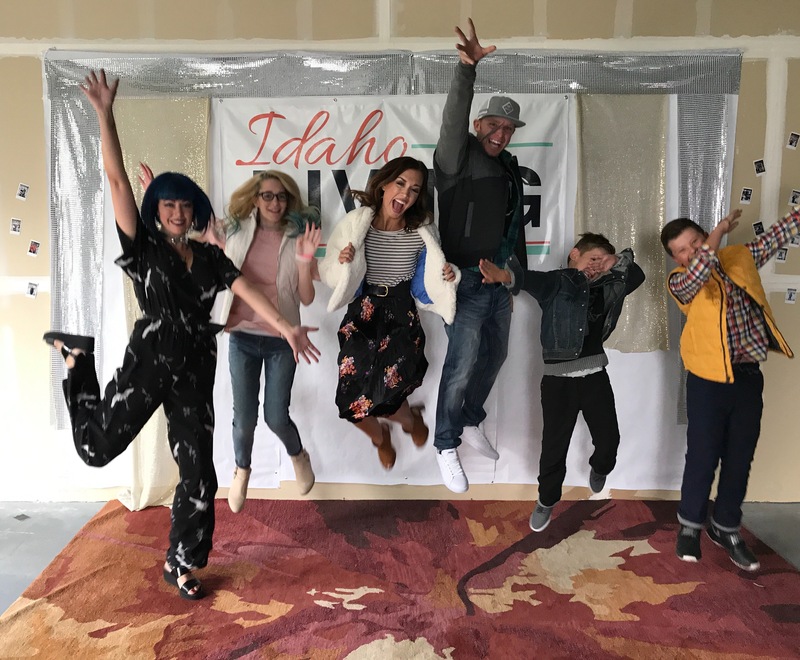 Special thanks to Toni Osmundson of Sydney Studios & Co. for the fun photo shoot, and to Boise’s JUMP for showing us around! COACH Dinkier bag – click pic for details! Fashion Collaboration 4 Good: my new Girl Power shirt from FourthWave! babes! I am proud to announce the launch of my first fashion collaboration: a very special #girlpower shirt I’ve co-designed with FourthWave Apparel! Nobody puts Girl Power in a Corner. Why? Because the gloves are off, and we are coming out fighting! There is a new wave of activism sweeping across our nation right now, as men and women everywhere are stepping up to use their time, energy, and wallets to make a difference in the community around them. Many of us are galvanized, like never before, to find ways we can each help make our world a better place. As a feminist, I believe that a vital part of fighting for equality in our nation involves lifting up our sisters who are most at risk and vulnerable! I created this shirt with FourthWave Apparel as a way we can take a stand for those who may not have the resources or ability to stand up for themselves! When you purchase my new Girl Power shirt, use code LEAP40, and 40% of the profits will be donated to LEAPCharities.org, a Boise-based non-profit that provides housing, transitional services, and support to refugees seeking resettlement in our nation. Why is that important? And why should “girl power” focus on those who have just arrived in our community? Because many immigrant families who have worked hard to get here are feeling understandable fear. Idaho is a major gateway for refugees, who arrive in our nation fleeing violence, persecution, or seeking freedom, and a life with more opportunities than they had in their previous land. Shirts available in black, heathered white (top of page), or pink! Use code LEAP40 to send 40% of the proceeds to LEAPCharities! There has never been a better time for us to stand up for each other across fences, walls, and ethnicity lines. Fact: Women in minority groups in this country fight for equality every day, twice as hard as many of us realize, because they simultaneously have to deal with sexism and racism! If you’ve never thought about that before, let it sink in; search your heart, and reach out to those around you. True equality means all are equal, period. If I really want to make the world a better place for my family, I absolutely have to be just as passionate about making it a better place for all families, regardless of gender, race, religion, or dis/ability. If you fight for equality, now is the time to stand up and do it with your wallet, with your courage, and with your helping hands. The power to make a difference is in us! Girl-power sisters, let’s get out of the corner! Other great options in the Treasure Valley that need our support are www.idahorefugees.org/,www.rescue.org, and worldreliefboise.org. Help out, in any way you can! Every effort makes a difference.